For over a decade, the principals of Restorative Solutions, Inc. were Anne Rogers and Randy Compton. Both pioneered restorative justice in government, schools, community organizations, faith communities and within individuals and provided national leadership to this very powerful and transformative movement. Randy Compton is currently the Principal and Lead Trainer, carrying on after the passing of Anne Rogers. Kevin Pugh and Catherine Childs round out the team as our restorative justice trainers and consultants. For all our bios, see below. Restorative Solutions, Inc. offers a range of services designed to assist individuals, organizations and communities in this change effort. Our services include, skills training in restorative practices, program development, program management, strategic planning and integration, partnership building, community development and team development. Our trainers and consultants have assisted hundreds of organizations and communities nationally and internationally in finding ways to incorporate restorative justice values, principles and practices. Whatever your community, business entity or program, we can help you integrate restorative justice within your culture and practices. Consulting with Restorative Solutions, Inc. can dramatically transform your community. Our creative consultants and trainers have proven excellence which brings outstanding results. Our current clients include Albuquerque Public Schools, NM; Tucson Unified School District, AZ; Steamboat Springs Schools, CO; Estes Park School District, CO; East High School, Denver, CO; Journey Schools, Casper, WY among others. Our past clients have included Natrona Public Schools, Iron County, UT; Englewood Public Schools, CO; Riverton Public Schools, WY; West Ottawa School District, MI; Capital School District, DE, Jefferson County Probation Department, CO; Boulder Probation Department, CO; Crested Butte Community Schools, CO, The Estes Valley Restorative Justice Program, CO and many others. 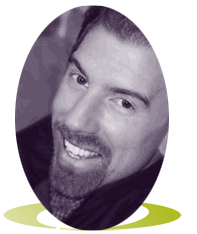 Randy Compton, President and Co-founder, is a lead trainer and consultant for Restorative Solutions. His specialty is designing and implementing school-based restorative justice programs. He has a long history of working for children, youth and families, with a specialty working in the field of conflict resolution education. In 2003, he co-edited one of the leading books in the field of conflict resolution education, titled Kids Working It Out: Stories and Strategies for Making Peace in Our Schools. After graduating from the University of California at Santa Barbara, Randy began work for the Beyond War Foundation, acting as the lead organizer for the Boulder chapter. This work led him to attend the University of Colorado at Boulder where he received a master’s degree in Sociology with an emphasis in Social Conflict. His culminating thesis, titled “A Transpersonal View of Social Conflict,” sought to understand how conflict evolves in society and our psyches. During graduate school, he volunteered for the City of Boulder’s Community Mediation Service where he mediated and facilitated a wide variety of cases including landlord-tenant, parent-adolescent, and divorce and child custody cases. He also led workshops in correctional facilities with the Alternatives to Violence Project. He entered the field of conflict resolution education in its early stages back in 1985 helping to implement a peer mediation program, which became a complete success validated by two years of research, which showed decreased anti-social behaviors and increased problem-solving behaviors. In 1987, Randy joined forces with two other educators to found the Colorado School Mediation Project (now the School Mediation Center), one of the country’s more influential organizations in the field. Under his direction as Executive Director, this organization helped schools and youth serving institutions implement conflict resolution, social and emotional learning, peer mediation and restorative justice programs. During his time at the School Mediation Center, he coordinated the National Curriculum Integration Project, founded two major conferences, served on the Standards Committee for the Conflict Resolution Education Network, authored numerous articles, wrote and edited curricula and videos, and presented dozens of times at conferences throughout Colorado, the U.S., and Europe. After leaving the School Mediation Center, he founded Think-a-lot Toys where he worked for five years before selling the company and returning to the field of restorative justice by joining and co-founding Restorative Solutions. 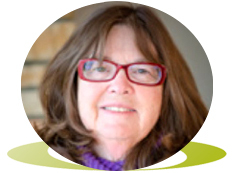 Catherine Childs, Principal, Lead Trainer and Consultant has enjoyed a 30 year career in human services and has devoted the most recent decade of her professional development and career exclusively to Restorative Practices and Restorative Justice. During this time she has specialized in organizational culture and needs assessment, program design and development, integration with existing initiatives, curriculum design and delivery, implementation, sustainability, and growth in schools and criminal justice. Working with schools, she has helped to develop a three-year restorative practices implementation and sustainability plan including course development and trainer training for the Douglas County School District, the second largest school district in the state of Colorado. Services include developing and supervising a feeder system Restorative Practices immersion pilot. During the 2013/14 academic year, she provided implementation and consulting for a multi-year project for the Denver Foundation’s Preventing the School to Prison Pipeline initiative. Over the last three years, Catherine has cultivated an expertise in truancy, creating the model Circle Round to Stay in School (CRSS), a restorative, community-based prevention and intervention program for students and families wrestling with the often complex barriers to regular school attendance. Working in the criminal justice field, she has provided comprehensive program design, implementation and coaching services for an OJJDP funded Juvenile Restorative Justice Services Project now launching in the City of Fort Lupton, Colorado. Evidence-based evaluation of the program will result in the development of a comprehensive “kit” for small municipalities across the country to establish Restorative Justice Services for both youth and adults. A similar “kit” is currently under development by Restorative Solutions for the establishment of Restorative Practices in schools, recommended for simultaneous implementation to achieve the greatest community benefit. Since 2004, Catherine has served as a volunteer youth and adult offender community group conference facilitator with the Boulder Probation Dept. Community Restorative Justice Partnership, where she sits on the Board of Directors. Catherine holds a B.A. in Psychology from the University of Colorado at Boulder. Her professional development achievements include: Multiple Restorative Justice Facilitator and related trainings for both schools and criminal justice; Licensed Trainer of Trainers for the International Institute of Restorative Practices (IIRP), Professional Mediator Certification, as well as Motivational Interviewing (MI), and Nonviolent Communication (NVC) skills training. She is also currently the founder and CEO of Circle Round Restorative Best Practices, LLC. 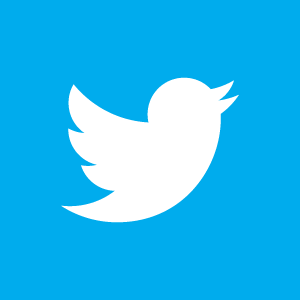 Kevin Pugh, Senior Associate, currently serves as the Dean of School Culture at Flagstaff Academy, a public-charter K-8 school in Longmont, Colorado which was recently certified as a High-Functioning Autism (HFA) School. Flagstaff Academy is on its way towards becoming a fully restorative school, and in four years has cut the number of suspensions by more than 80% as a result of utilizing restorative practices in the school. The school has also been recognized three times in the last four years as a John Irwin School of Excellence, representing the top 8% of academically performing schools in the state. Meanwhile, school culture studies there indicate dramatic and significant improvement in all measures of students’ sense of safety, sense of belonging, perception of kindness and caring, and willingness to discuss concerns with adults in the school. Kevin developed a “Peacemakers” curriculum, which he teaches as an elective class to middle-school students. Over 140 students have been trained as restorative justice facilitators through this class; some have gone on to serve the community as volunteer facilitators for the Police Department’s RJ program. Kevin also teaches Restorative Justice in the Sociology department at Front Range Community College in Longmont, Colorado. 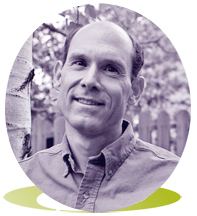 Kevin has advanced degrees in Communication, Higher Education Administration, and College Student Development, and was trained as a mediator at the Center for Nonviolent Conflict and Change at Syracuse University. Kevin is also a nationally certified Crime Prevention Specialist and a nationally certified Social Justice & Diversity educator. A seasoned leader in educational administration since 1994, Kevin took a hiatus from education to serve as the Director of Community Affairs & Restorative Justice for the Lafayette Police Department from 2005-2009 to help establish a Restorative Justice program for the city. It won awards from the Governor of Colorado as well as the International Association of Chiefs of Police (IACP) for its effectiveness, as it reduced the crime rate in the city by 31% (bringing it to its lowest level since 1971) and maintained a recidivism rate of just 1%, while also achieving a 98% satisfaction rating from all participants. He is also co-founder, partner, and consultant for Evergreen3 Consulting. Kevin is an award-winning national presenter, TED-speaker, trainer, consultant, and co-author of Amazon.com Top-500 book, The Personal Vision Workbook, published by Thomson Delmar Learning (now Cengage) in July 2006. Prior to his current work in secondary education, Kevin spent 12 years in higher education & student affairs administration, serving in various leadership and teaching positions at Baldwin-Wallace College (OH), SUNY-New Paltz (NY), Syracuse University (NY), and the University of Colorado-Boulder (CO), where in 1999 he helped to establish the first Restorative Justice program in higher education anywhere in the country. Anne Rogers was the President and Founder of Restorative Solutions. She was a nationally recognized leader, consultant and trainer in the restorative community justice movement. She was responsible for providing restorative practices within criminal justice, schools, law enforcement, probation and communities. Anne has facilitated dialogues and circles in a number of high profile cases of severe violence. Anne was the Director of the Community Restorative Justice Partnership, a non-profit organization that provides restorative justice services to the courts, district attorney and probation. Anne provided training and education, technical assistance, resources, program development and policy development. Anne was the founding director of The Forum on Community and Restorative Justice. During her tenure at the Forum on CRJ, the organization produced and published newsletter, videos and other publications, directed six national conferences on Restorative Community Justice, provided training to over 1000 individuals and organizations and assisted over 30 communities in implementing restorative justice programs. Prior to joining The Forum, Anne was the Victim Services Coordinator for the Office of Probation Services at the Colorado Judicial Branch, where she was responsible, statewide, for the probation victims program, including program implementation, policy development, legislation and training. 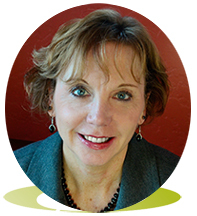 Prior to joining probation, Anne was the Director of Training for Colorado Organization of Victim Assistance. Anne spent 18 years in the private sector where she was the Director of Product Development for Neodata Services.